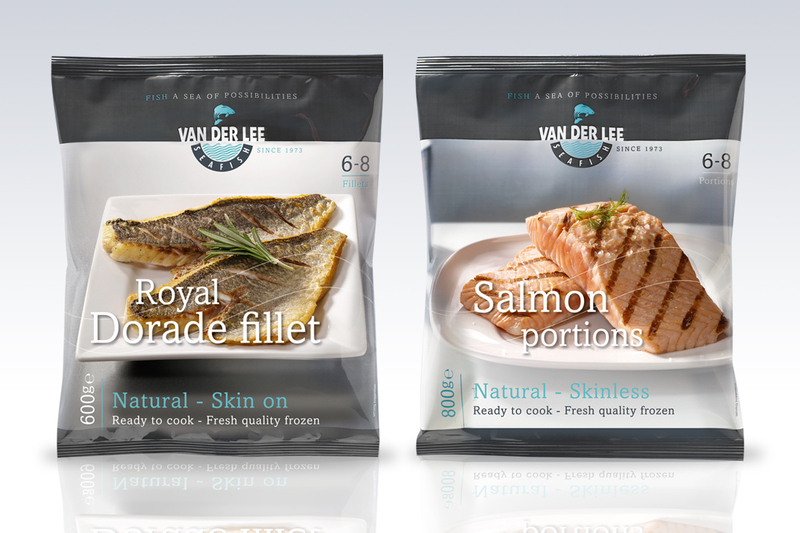 Van der Lee Seafish introduced its own packaging line. This is ideally suited for the cash and carry market and the retail market. The Van der Lee Seafish packaging is really user-friendly and can go directly on the shelf. The clean, full colour design exudes quality and immediately draws the consumers attention. Available weights vary from 300 grams to 2 kilograms. Of course we also supply neutral retail and consumer packaging. One of the possibilities is also a private label. Additionally our products are available in retail boxes (300 to 600 grams) and in bulk and large packages (5, 10 and 15 kilo). Products can also be packed individually. Furthermore any other customer desired packaging is possible.